Not too long ago I reviewed a Neymar 300M dive watch from Shenzhen Bo Lin Watch Industrial Company Ltd. I still believe the watch is the best $159 NH35 powered dive watch available on the market. 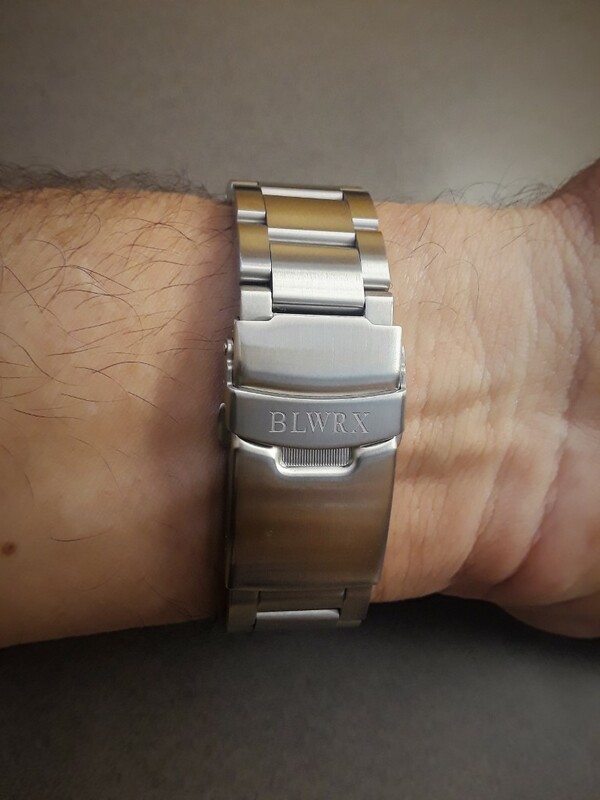 The company has recently expanded its line under a new brand, BLWRX. The brand name is derived from Bo Lin Watch. The RX in the name is not really explained but I think it is a nod to Rolex, who’s designs are the primary inspiration for most of their designs. 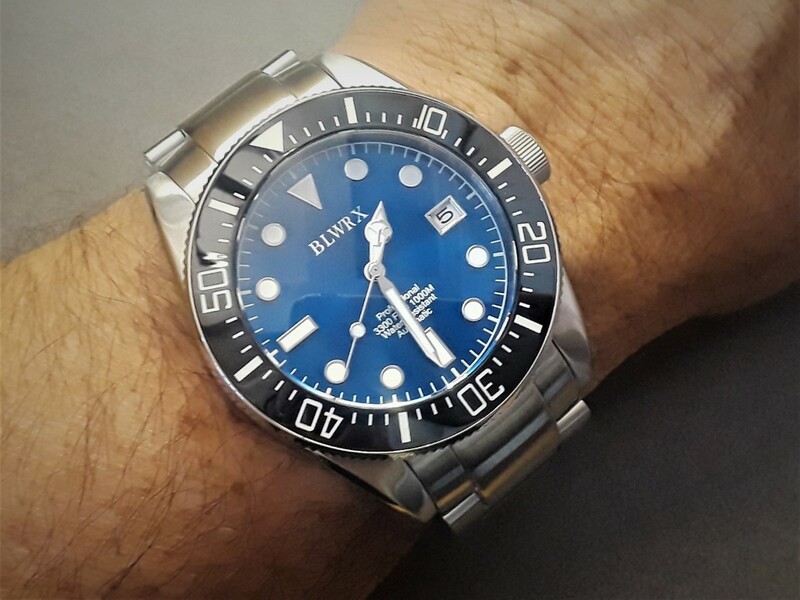 For this review I have one of their new Rolex Deepsea Sea-Dweller homages under the BLWRX series number 116635. 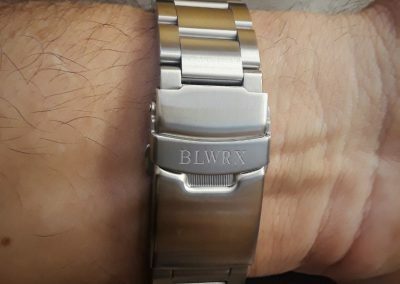 Available in different case finishes and face colors, the basic model number used by BLWRX for this watch is similar to Rolex model numbers. I prefer the proportions of this watch than the wider lug design currently favored by Rolex. 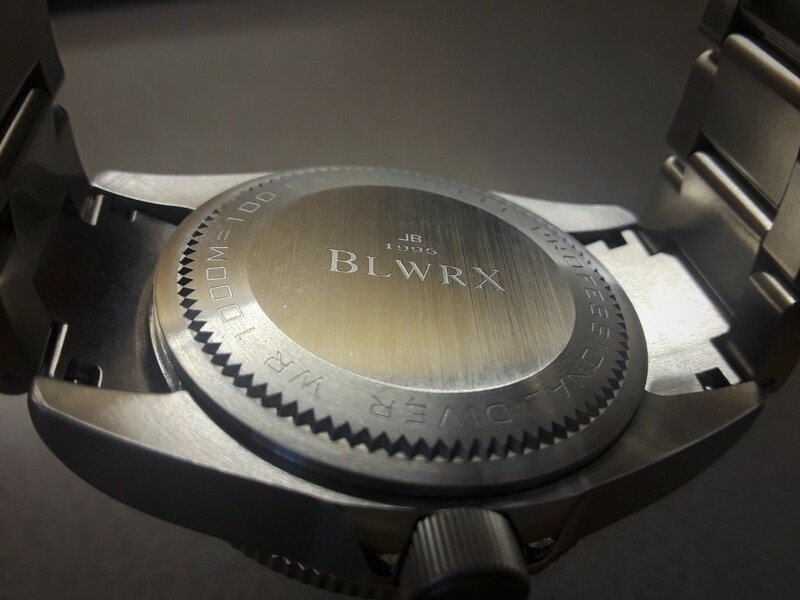 The BLWRX measures 43mm in diameter, 52mm lug to lug and 15.8mm thick. Lug width is 22mm, tapering to 20 mm at the clasp, all of which is exactly what I would expect in this type of dive watch. 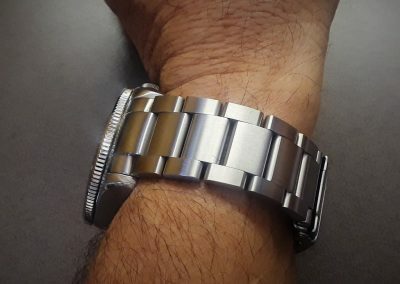 The completely solid 316L bracelet is a conventional three link design with push button release and is extremely well made, despite not having milled clasp links. 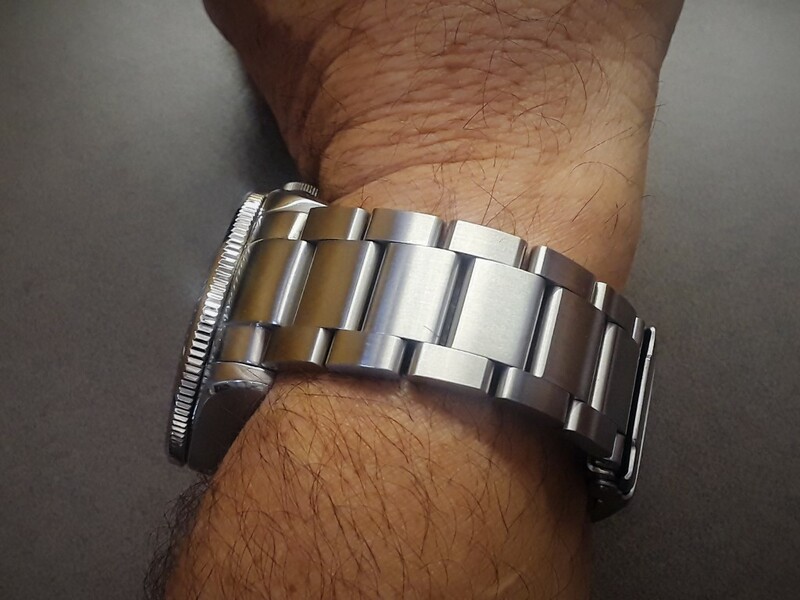 It uses longer center links where the bracelet meets the watch case, which is a more attractive design to me, even if the bracelet protrudes from the lugs. 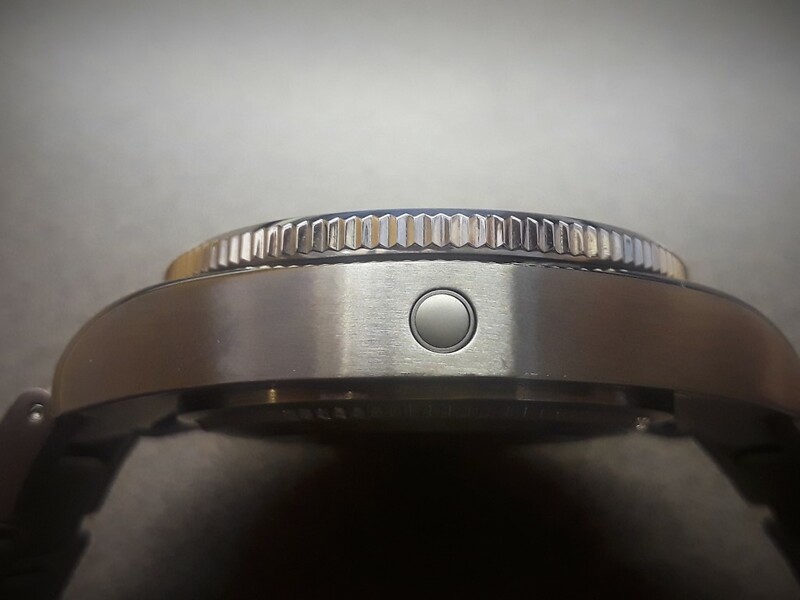 Both the bracelet and the 316L case have a beautiful brushed finish with only the edge along both sides of the case and the crown guard being polished. I honestly do not like fully polished case sides because they are impossible to keep unblemished when worn. The screw down case back is fully brushed and laser etched with pertinent information about the watch as well as the brand name in the center of the case back. The year of the company’s founding, 1995, and the letters BL (for Bo Lin) appear here as well. The precisely machined zig zag edge of the beveled screw down case back is a great detail. I hope there are watch back removal tools available that can take the case back off this watch without marring its excellent brushed finish. The 3 o’clock coin edge BL signed crown is fully machined and finished, an extra step that I rarely see. In addition, there is a perfectly integrated helium value on the 9 o’clock side of the case. Though I doubt many people use this feature, it is welcome on a watch that water resistant to 1000 meters or 3300 feet. The 5mm thick slightly domed internal A/R sapphire crystal is a major contributor to the watch’s water resistance rating. One of the best details of this watch is its perfectly finished black ceramic, polished coin edge bezel. 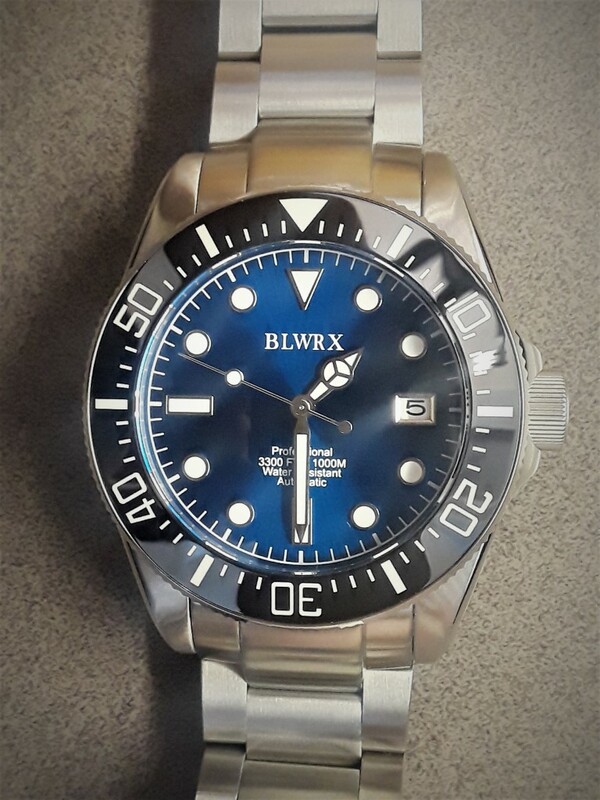 The bezel, face, indices and the Mercedes handset are expertly lumed with blue Swiss BGW9. All the surrounds of the raised indices and the hands have a perfectly polished edge, as does the picture frame around the 3 o’clock black on white date window. The half railroad track minute/second markers are just as you would expect, and everything aligns perfectly with the 120 click unidirectional bezel. The bezel has no back play and a makes a very satisfying sound and feels rock solid. The blue finish of the watch face is almost mesmerizing as it changes color, depending on the angle and light. I haven’t mentioned the movement of this watch because it is exactly what you would expect, a TMI Seiko NH35. There is really nothing to say about it that has not been said before. An alternate model watch with an upgraded movement like an ETA 2824-2 or a Miyota 9015 movement with additional power reserve might be worth offering for buyers that are looking for perfection. Is this watch perfect? Depends on your point of view. I would prefer to see only two lines of text on the bottom half of the watch face instead of four. 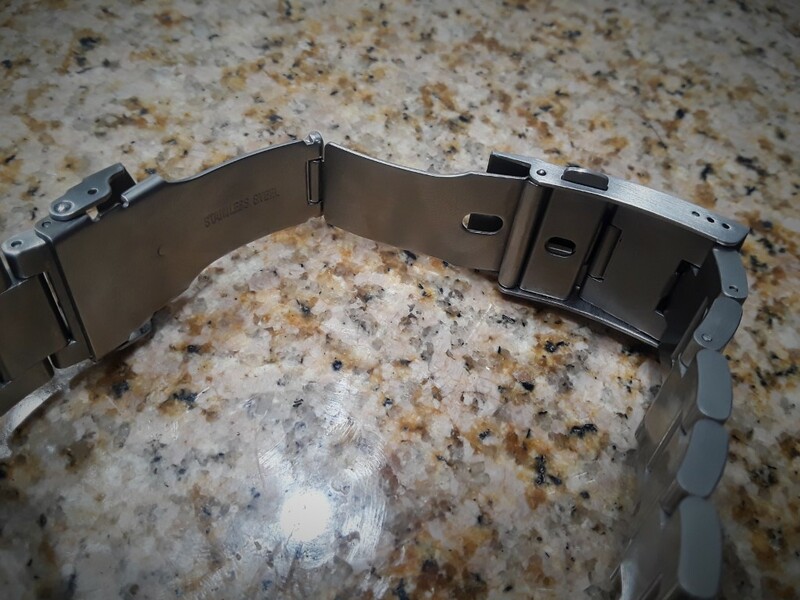 I would also like to see a few more adjustment holes in the clasp to allow for a more precise fit on the wrist. I have not found a better dive watch available from any company for $220, from Amazon. 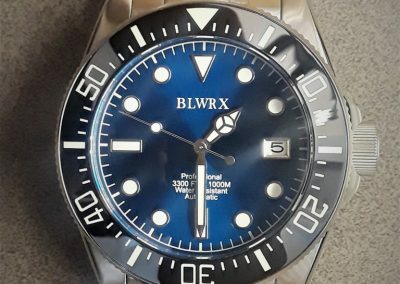 BLWRX may be a unusual brand name, but their watches are amazing value! -What watch do you wear? But I would MUCH RATHER buy a nice watch with a fresh style and unique design! Does the world REALLY NEED ANOTHER Rolex homage???! Is this watch and the Neymar really waterproof. 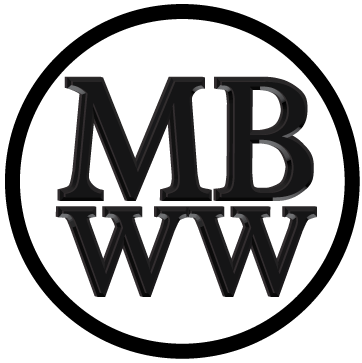 I have read many reviews of various brands of dive watches which had problems in being waterproof. You can find many such reviews on Amazon.You gave a brief description not a review. the watch looks nice. All I can think of for BLWRX’s branding is “Black Subaru WRX”.